When God created Eve, Adam said, “This is now bone of my bones and flesh of my flesh”. Thus Adam belived that Eve was a part of himself and lived as one. God mentions in Genesis 2:24 that “they shall become one flesh.” This is how God meant marriages to be. There are dozens of verses in the Bible where divorce is compared equal to adultery and shown as something God completely detests. 1 Corinthians 7:10 says that “To the married I give this charge (not I, but the Lord): the wife should not separate from her husband “. The Holy Bible also gives a particular situation where divorce can happen. 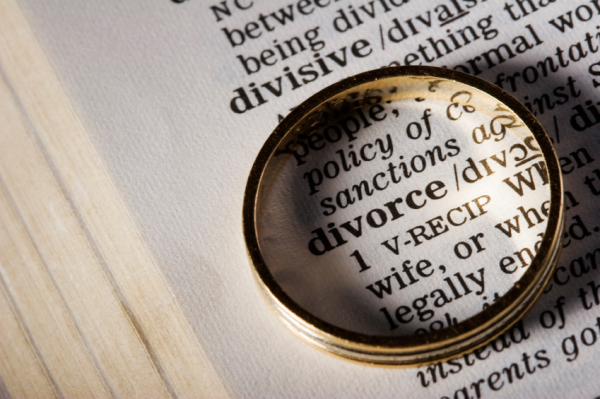 In Matthew 5:31, the Bible says, ““It was also said, ‘Whoever divorces his wife, let him give her a certificate of divorce.’ But I say to you that everyone who divorces his wife, except on the ground of sexual immorality, makes her commit adultery, and whoever marries a divorced woman commits adultery. “ Here we see that Bible states that sexual immorality can be a reason for divorce. In the book of Matthew Jesus states in Matthew 19:8 that, “Moses permitted you to divorce your wives because your hearts were hard. But it was not this way from the beginning. 9 I tell you that anyone who divorces his wife, except for sexual immorality, and marries another woman commits adultery.” Jesus, the Lord Himself states why he permitted divorces. It was because of our unforgiveness, because our hears were hardened. If your mind is thinking of divorce or you were searching on the Internet due to the problems with your partner, prayer can be the answer. Prayer can heal, prayer can change the unchangeful, prayer can melt a hard heart. Dedicate a time of prayer every day for atleast a hour and watch how God can restore your life back in abundant measure. Next story Will My Pet Go to Heaven?